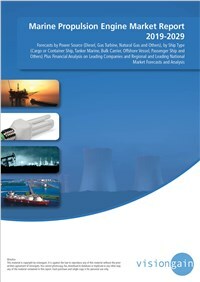 Do you need definitive marine propulsion engine market data? Succinct marine propulsion engine market analysis? The American Boating Congress produced by the National Marine Manufacturers Association (NMMA), has led to publish this timely report. The marine propulsion engine market is expected to flourish in the next few years because of the rise in international seaborne trade and also because increasing production and sales of ships globally will feed through in the latter part of the decade driving growth to new heights. If you want to be part of this growing industry, then read on to discover how you can maximise your investment potential. Shanghai Diesel Engine Co. Ltd.
What does the future hold for the Marine propulsion engine industry?